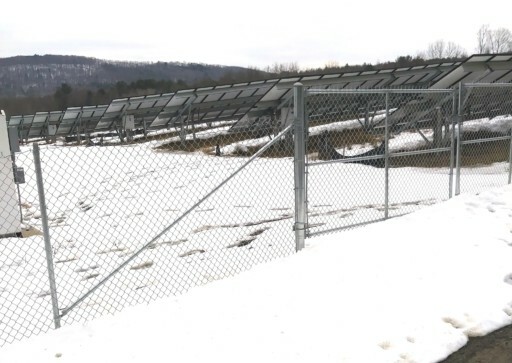 Where Is the Money the Broome County Solar Farm Was Saving? Vic Furman questions what’s going with the Broome County Solar Farm that was supposed to save taxpayer so much money but still isn’t producing electricity. I have been long involved in the rights of landowners and fighting for their ability to harvest the mineral rights from their farms and land holdings. I’m a landowner and a Field Director for the Joint Landowners Coalition of New York (JLCNY), this job involving gas well tours, visiting homes where drilling took place, investigating when possible all activities pro and con, causes and effects at drilling sites and educating the public at any available venue. 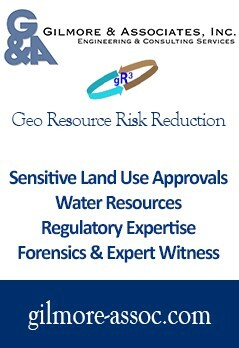 I am also President of The Sapbush Road Group, a landowner group formed in 2008 to evaluate and negotiate gas leases. One of the activities I have been following and investigating recently is the status of the Broome County Solar Farm project that was supposed to create big savings for taxpayers. So far, it’s been a boondoggle, not unlike SolarCity, with the whom the deal was made. A little more then a month ago, on January 3, 2018, a member of a Conklin landowners group contacted me asking if I knew the status of the 20-acre, $4 million dollar deal Broome County entered into with SolarCity (another huge failure in NY) back in 2016. The caller informed me that the solar project had been completed and is not hooked up to the grid after sitting idle for a year and the news is now out, with all sorts of excuses and feeble sounding explanations. $4 million solar farm will cover 25 percent of Broome County’s power demand. It will save more than $250,000 per year. Broome County officials joined a SolarCity director during a groundbreaking ceremony for a solar farm Thursday in the Town of Conklin. “Not only are we becoming more energy independent and producing power in an environmentally friendly way, we’re also saving taxpayers money in the long term by reducing our energy bills,” said Broome County Legislator Kelly Wildoner. The county will partner with SolarCity, who will own the solar systems and is offering the county a power purchase agreement for no upfront cost. SolarCity will install and maintain the systems, while Broome County will pay less for the solar energy produced than it would for utility power. We’re excited to help the county switch to affordable solar energy and save it money at the same time, said Dan Leary, director of SolarCity. It’s a winning combination for the county, taxpayers and the environment. Speaking on WNBF Radio’s Binghamton Now program, Garnar said the county has been working with NYSEG and SolarCity to finalize a rate agreement. Energy produced by the solar farm will be sold to NYSEG. Garnar said when the project was announced, there was a promise it would “save the county a lot of money every year.” In reality, he said, the county may not actually see any net savings as a result of the solar farm. County public works commissioner Leslie Boulton said a connection to NYSEG’s system still must be completed. She said the utility installed some poles to link the solar farm to the grid. SolarCity project director Dan Leary could not be reached Thursday to discuss the rate agreement that’s been reached with NYSEG. Was the first year of unrealized $250,000 in projected savings part of the county budget this year or last? Did Broome County have a written contract with Solar City and NYSEG? If so, why is this long ago completed 20-acre solar farm sitting idle in Conklin and what are the penalties to SolarCity for not performing? Any solar farm contracts and/or approvals I’ve seen demand NYSEG approval prior to construction. Why wasn’t that the case here? Why did it take my call into a local radio talk host to prompt the host of the show, to question the County Executive Jason Garner? When I questioned County Executive Jason Garner a week later, during a segment called “Ask the County Executive” he seemed very unknowledgeable about the whole situation except to rightly say it was the previous administration’s doing. But then again, how can a county executive not know of a deal made in 2015, when two years before he took office he was a sitting county legislator as the project was approved? Who was the legal representative for the county in charge of protecting taxpayers, ensuring NYSEG was committed at the front end and SolarCity performed? The solar farm has been sitting idle for over a year, disconnected from the grid, the ground covered in ragweed now as the frost seems to have tossed the arrays to different levels of height, making it unsightly spectacle not unlike a parade of drunks stumbling down the street (somewhat apparent in the following shot from WBNG but every visible on-site). I was happy to see only factories and no homes, are being forced to look at this landscape, but can only imagine one of these things popping up in their neighborhood, and wondering what would this do to local land values if was a residential neighborhood. I have asked many questions and maybe some of you have the answers, but one thing is for sure; there is a need for answers and an investigation into these maters. It also occurs to me this project may be nothing more then a 2015 advertisement used by Solar City to promote its not so clean energy business and if so….how did they get away with it and who is accountable? I ran into a NYSEG employee while at the site who referred me to the office for answers to these questions but he did tell me “there are no meters because it’s not hooked up.” What in the world is going here? 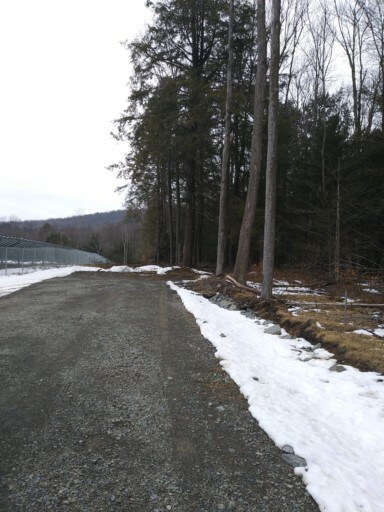 This is Andrew Cuomo’s alternative to natural gas development? Give me a break! Another “green” boondoggle or should I say “scam” to take in gullible, incompetent politicians and the taxpayers get taken to the cleaners. It would be interesting to investigate the deal Solar City got and the money trail leading to this deal. Every NYers shared commonality is that we ALL must maintain a household budget.. The energy policy that this Governor is hamering down our throats Has worked no where domestically and by comparison no where in the world.. They aren’t saving any money until the solar panels pay for themselves. It would take 16 years for $250,000 to pay for the $4,000,000 cost. That’s if they can actually generate that amount of savings. By then the panels would be close to their life cycle and would need disposed of. Also how many homes would this power ?? My guess would be not many. at a google earth glance looks like they are short on environmental structures to maintain run off at the same levels as the previous forest … I wonder how the downslope water shed is doing … natural gas development is flat out denied permits because they might, might, have a failure of extensive BMPs. Double standards? Good point. I guess the “green” projects are not subject to the same regulations as normal construction projects. Boondoggle isn’t the word for this thing. I have an array on my roof (twenty two 226 watt Sharp panels) and be advised that on cloudy days which we get here in the valley once in a while (pun intended), the out put of this thing is attenuated at least 80%, zero watts at night, and zero watts when snow covered. I know this because my Fronius inverter (a device that converts the array’s DC output into AC usable power) has an LCD display where you can visually watch the array output jump around like a Mexican jumping bean. Voters had better start to wake up and stop the installation of these land destroying intermittent and 13% efficient monsters. If I knew how cheap electricity would be today thanks to nat gas fired plants, I would have never had the array installed on my roof which leaked and I had to call the installer to come out and fix the leaks. Solar is a dead end. We need power 24/7 not intermittently like these things produce. I don’t see a Vera comment here ?? Vic, The deal as reported in the Press early on, said that the County is responsible for maintenance including grass mowing. I can’t imagine what that would cost as you can’t mow under the panels with a riding mower. It must all be done by hand. I am in favor of Solar energy. but as a Conklin resident all I can see from this deal is another property off the tax rolls with no benefit to taxpayers. Another good point. The maintenance of the area around the panels may actually be a significant negative financial input into the end results. I’ll bet no one involved in the deal even thought about such maintenance cost. Typical scam for Cuomo and company. Tree huggers actually think they can use solar scams while ignoring the strip mining and toxic waste issues. These people are emotional and not that intelligent so they need to virtue signal their greatness and be seen as “trendy” by advocating wind and solar. All of the subsidies go not to American jobs, but to subsidize jobs at the companies in countries like China, Viet Nam, Thailand, and others South East Asia. I will look forward to the next installment of this expose’ that you build from the FOILed information! I have worked on a few of these solar farm projects that also were joint efforts with the county. Generally the land is owned by the county and is leased to a private company that owns the solar panels and equipment. In return the private company sells the power to the county for a discounted rate. The only one that normally profits is the private company that’s selling the power. I am hereby acknowledging your request dated February 19, 2018 to inspect records. Pursuant to the Freedom of Information Law, Article 6 of the Public Officers Law, I request a copy of the following records from the Broome County: Any and all contracts related to the solar system built in the Conklin NY Industrial Park. Any and all coresponence or emails between Broome County and Solar City on the solar array built on Broome County Property in Conklin NY including 1, price 2, outside contracts 3. Contracts between Solar City,NYSEG, and Broome County 4. Any contract concerning this project with the town of Conklin NY. for year 2015 in PDF format. As you know, the Freedom of Information Law requires that an agency respond to a request within five business days of a request. Here is a link to the law for your convenience: http://www.dos.ny.gov/coog/foil2.html. If any records or portions of records are withheld, please state the exemption on which you rely, the basis on which the exemption is invoked, and the name of the individual responsible for the decision. Thank you for your prompt consideration of my request. 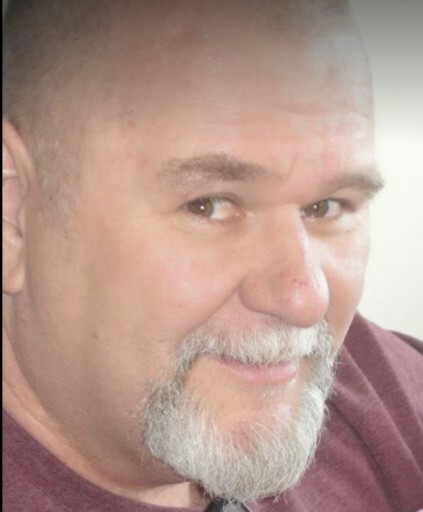 If you have any questions, or if I can be of any assistance, please e-mail me at Vlfamf@aol.com. Still have not received anything put in a phone call today. Any further updates on this? Pretty interesting the way these deals are done with very little input from ordinary citizens. On a side note, has anyone every thought about using wind turbines to compliment there existing solar set up? Looks like they have exceeded their own time frames for responding! How surprising!